This is pretty much the best type of leave of absence anyone could ask for. Last week, I was in the hospital, but I wasn’t sick or incapacitated in any physical sense. And being out of work for this week, I’m able to get to some stuff I’ve been putting off, in some cases for years. – I’m getting my car inspected. – I’m going to therapy Mon. and Fri.
– I’m meeting with my new psychiatrist. – I’m having lunch or dinner with a couple people. 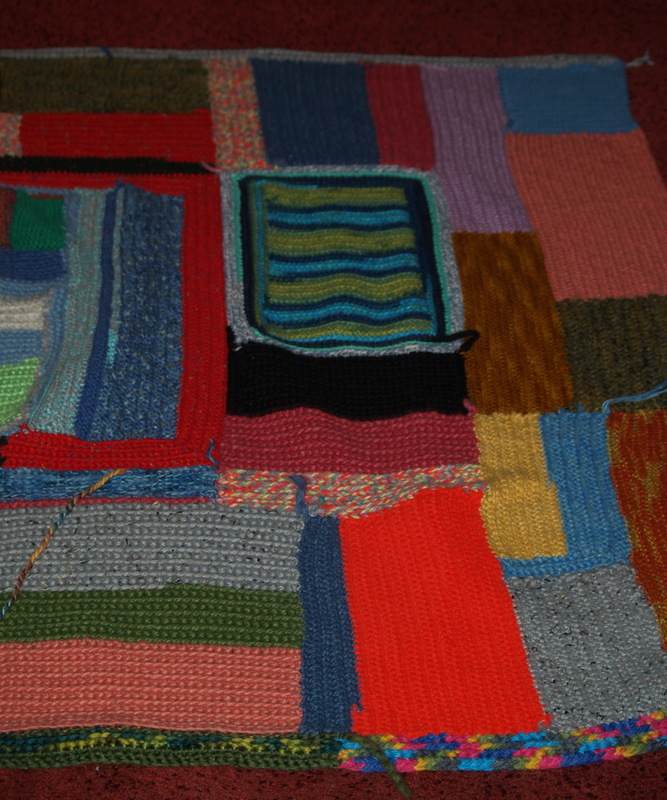 – I’m working on finally finishing this blanket I started 2 years ago. – I’m finishing a piece of writing, a collaborative blog post with Michele Witchipoo. My room has been a disaster area for mostly my entire life. I mean, I guess there were periods of time where I kept things organized throughout my childhood, but largely, it’s a watch-where-you-step zone. There is a method to the madness, but it doesn’t work all that well, and there have been times recently where I can’t find something. I have a tendency to not unpack bags and also a tendency to not want to touch things because they have sentimental value and are buried somewhere down there. It’s like an archaeological dig. 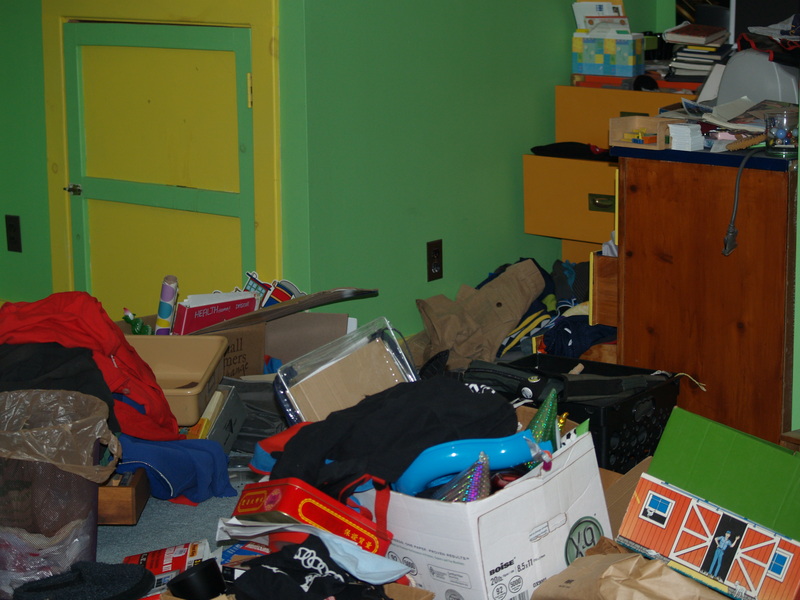 This room has not been cleaned in probably 2 years – lots of dust and hair and just grossnesses. At least no food or stuff like that – I’m good about that. I guess I have a confession: I am a janitor who is a messy person at heart. Really only a partial view. Need a panorama for this mess! Almost done with this blanket! *When I say “my room,” I’m referring to the room where my partner and I sleep, and where I store a lot of my personal belongings in big disheveled swirls. We don’t hang out in there or watch TV or anything because it’s not all that aesthetically pleasing, at least for my partner. Also, it is the attic of our house, so it is very cold in the winter.